So most of us would assume fruit a gluten free product. Never hurts, though, to see the packaging listed as gluten free. 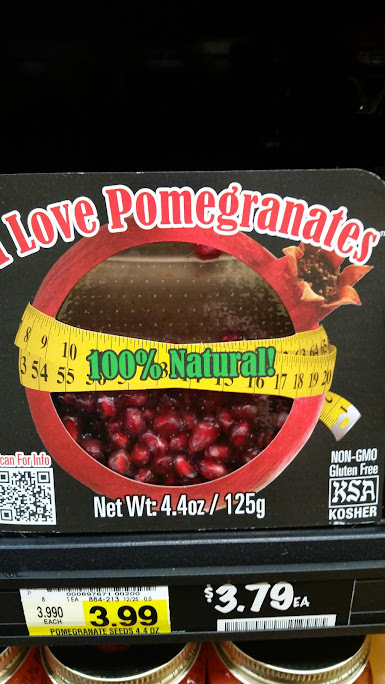 We found these pomegranate seeds recently at Harris Teeter. You can never go wrong with giving your children fruit. You can find a variety of products with pomegranates, including fresh seeds, juice, even some yogurts. You can find a lot of good information about pomegranates at http://www.pomwonderful.com/. They sell a variety of products including juice concentrate, supplements, and more, harnessing the antioxidants and other goodness. You can find these products in pretty much all grocery stores in Raleigh. Enjoy!